Top Animation News: Funan, Disney, Cartoon Saloon x Apple and more! Top Animation News is a weekly column that rounds up the biggest, best and breaking stories from the world of animation. This edition covers June 15 to 22, 2018. 1. Funan wins the top prize at Annecy 2018. The 2018 Annecy International Animated Film Festival was the biggest yet, with some huge headlines to match. Among them was the Toon Boom Animation x Nimble Collective partnership and Funan winning the Cristal Award in the feature film category. The event’s highest honour was presented at the closing ceremony last Saturday, where both the jury and audience prizes were given to Cartoon Saloon’s The Breadwinner (storyboarded in Toon Boom Storyboard Pro). Chronicling the Khmer Rouge’s genocide in Cambodia, Funan was directed by Denis Do and produced in Toon Boom Harmony and Storyboard Pro. Read more about Funan and the other Annecy 2018 winners on “The Hollywood Reporter”. 2. Jennifer Lee, Pete Docter to replace John Lasseter at Disney-Pixar. Just weeks after it was announced John Lasseter would leave Walt Disney Animation Studios and Pixar by the end of 2018, his replacements have already been named. Jennifer Lee (Frozen) and Peter Docter (Up, Inside Out) will jointly tackle his former duties. Lee will be chief creative officer at Walt Disney Animation Studios, while Docter will fill the same position at Pixar. Both have won Oscars for their respective work with the House of Mouse and will report to chairman Alan Horn. Dig into the Jennifer Lee, Pete Docter announcement on “Entertainment Weekly”. 3. Will Cartoon Saloon produce Apple’s first animated film? In March, Apple announced it would be doing its first cartoon series: Central Park. Now, the tech giant may be moving into animated features with Cartoon Saloon. The Irish studio behind 2018’s critical darling The Breadwinner is reportedly in negotiations with Apple to produce the currently unnamed film, which will not be released for at least another year. The iPhone maker also announced it would be partnering with Sesame Street on children’s programming this week, including an animated series. For more on the Apple x Cartoon Saloon animated feature film, visit “Business Insider”. 4. Incredibles 2 smashed box office records (as expected). As Toon Boom reported, Incredibles 2 was predicted to have the highest opening weekend ever for an animated film — and it did. Pixar’s superhero sequel took in $180 million domestically and $231 million globally, easily swimming past Finding Dory’s former record. Incredibles 2 also can claim the eighth-largest opening of all time and the second highest for June, beat only by Jurassic World. Investigate Incredibles 2 incredible opening more on “Vox”. 5. “Cartoon Brew” opens its first Canadian office in Montreal. Catch up on the Canadian animation expansion on “Cartoon Brew”. 6. All Kids Go to Hell’s creator’s tips for getting on the festival circuit. Chaz Bottoms took his final thesis project from the classroom to Cannes, with a tour of festivals in the United States and Italy in between. 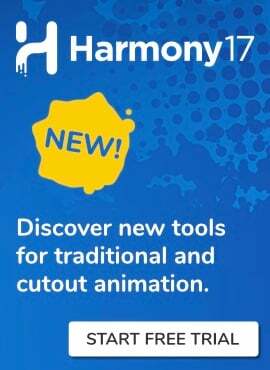 The young animator gives his top tips for getting onto the cinematic circuit and shares his experience creating a seven-minute short in four months using Toon Boom Storyboard Pro and Harmony. Watch All Kids Go to Hell above and read Chaz Bottoms’ full interview on the Toon Boom blog. 7. MTV Studios launches with Daria reboot. Broadcaster MTV has committed to producing more programming for buyers by launching MTV Studios. It will churn out mostly reboots, revivals and spin-offs of series from its library of over 200 titles. One of the first will be young adult animated comedy Daria & Jodie, a second take on MTV’s iconic 90s feminist series Daria. The cartoon will be helmed by writer Grace Edwards (Inside Amy Schumer). Embrace MTV’s Daria 90s nostalgia on “Deadline”. 8. Your Name studio is back with Flavors of Youth. Japanese anime studio CoMix Wave Films, best known for producing international blockbuster Your Name (storyboarded in Toon Boom Storyboard Pro), is back with an animated feature for Netflix. Titled Flavors of Youth, the film is an anthology of three stories — each helmed by a different director and focusing on a separate character. Part of Netflix’s massive commitment to anime content, the film does not have a release date yet. Play the breathtaking Flavors of Youth trailer above and read more on “i-D”. 9. Amazon announces Invincible series with Walking Dead creator. Walking Dead creator Robert Kirkman will be producing an animated series for Amazon, Invincible, based on the comics of the same name. The eight hour-long episodes will tell the story of a superhero father training his son to follow in his caped footsteps. Invincible is part of a larger production pact Kirkman has with Amazon, with Simon Racioppa (Teen Titans) set to be the showrunner. The series will be released globally in 200 territories though it hasn’t been given a release date yet. Jump into the Robert Kirkman Invincible details on “Variety”. 10. YouTuber Lilly Singh gets into animation with Kickass Drag Queen. It seems drag queen cartoons are the hottest new trend, with RuPaul’s Drag Tots and Netflix’s Super Drags (produced in Toon Boom Storyboard Pro and Harmony) both announced in the last two months. Unicorn Island Productions, YouTube star Lilly Singh’s new studio, will be launching with animated series Kickass Drag Queen. The cartoon is based on the Instagram comic written by RuPaul’s Drag Race winner Bob the Drag Queen and illustrated by Matteo Lane. Kickass Drag Queen will follow a drag queen superhero and is in line with Unicorn Island Productions’ mission of highlighting “under-serviced voices”. Sashay into the Kickass Drag Queen details on “Tubefilter”. Banner image source: Les Films d’Ici.